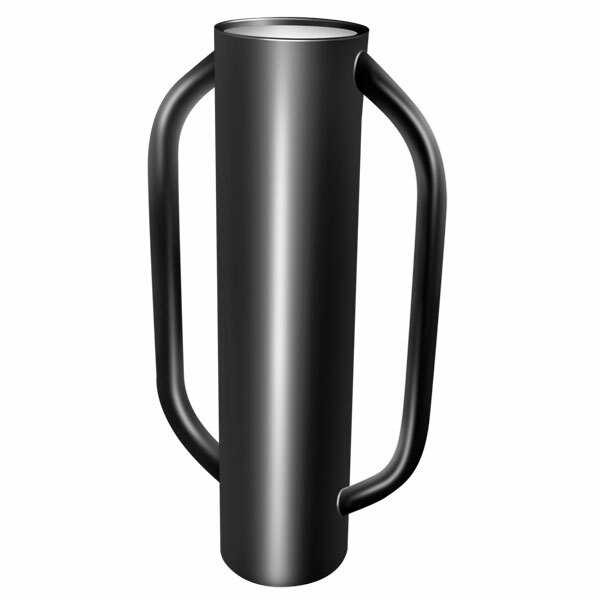 Large tubular steel post rammer with steel handles and reinforced top. This tool is used to knock in fence posts up to 150mm (6″) diameter. You slide the rammer over the post, then use the two handles to lift and drop the rammer onto the post, to knock it into the ground.